DMAIC which stands for Define, Measure, Analyse, Improve and Control is a powerful problem solving tool. Given time DMAIC could solve all your company’s problems using data from the process. When used cyclically DMAIC in a key component of continuous improvement. Its ultimate goal is to stabilize and optimize a process. This 5 step method will lead you to the correct solution to your problems again and again. Using a set of lean sigma tools to understand the process and then using the data from the process to create lasting solutions. Why do you need a method to solve a problem, can you just find a solution and fix it? If the solution is very obvious and it may not be worth investing a lot of time into a DMAIC project. So implementing a solution in this case would be the right thing to do. For (a simplistic) example, if a table is wobbling and there is a screw missing, get a new screw. But for anything a little more complicated DMAIC is one of the best ways to solve it. Too often we see an issue and apply a quick fix or a work around but ultimately the problems persists. We may even put time, money and effort into what we believe is the solution only to find 6 months down the line that the original problem is still there and new issues have arisen from the “solution”. DMAIC aims to remove the opportunity for failure by gaining a thorough understanding of the process and the root cause of the problem. An important aspect of DMAIC is that it is customer centric. By always keeping the customer in mind when making changes it is hoped that you will not add non value add steps to the process. You must always ask “would the customer be willing to pay for me to complete this task.” In a process the customer is not always the person who purchases the product or service. It is more often the person working at the next stage in the process. Keeping this customer in mind when making changes ensures that you do not just move the problem down the line for someone else to deal with or cause new problems for them. The different aspects of each step and the tools useful for each stage are outlined below. In some cases, there are many issues in a process, and it would be overwhelming to try fix everything. DMAIC projects should be specific and small enough to be completed in 3-6 months. There are Six-sigma tools which can help you choose the right project. A good rule of thumb is for your project to be “SMART” (Specific, Measureable, Achievable, Relevant, Time bound). Once an issue is identified, the define phase should be conducted by the whole team. It is vital that everyone who is affected by the issue be involved in this stage. Important tasks in the define phase include defining the customer, creating a problem statement, defining the core business process involved and the scope of the project. It is advisable to avoid large multi-functional projects, particularly when starting off using DMAIC. These projects can become unwieldly and stagnant. We always say you should play in your own sandbox. This step requires more time than define and aims to explain the problem or opportunity with data. Understanding the current state of the process will highlight where the opportunity is and allow for a cost benefit analysis at the end. A process map is a helpful tool in completing this stage. As expected the measure phase must include measurements to understand the performance of the core business process involved. These could be timings of the process or measurements of the output, errors or defects. (Relevant historical data can also be used although it should be as recent as possible.) Using numerical data and measuring the current state will give a metric to measure improvement against. In this step you will Analyse the data collected during the measure phase. A review of the process map and the diagrams, histograms and charts from the raw data will allow you to see sources of variation. The root causes of the issue or the opportunities for improvement will become visible using some more lean sigma tools. In a sentence this step of the DMAIC process wants to identify gaps between current performance and the goal process performance. Another purpose of the Analyse Phase is to communicate your results to decision makers and among your team to decide what improvements to enact. At the Improve stage you have amassed all the information you need to have a thorough understanding of the current process and the gaps between this and the goal process. The root cause of a specific issues will have become visible. The next step is to come up with a range of solutions or countermeasures. Brainstorming with the team is helpful here to get insight into what changes will work for everyone invested in the process. Once a viable solution has been agreed upon it is important to complete a risk analysis. A risk analysis ensures that the changes will not create additional problems in the process or cause quality concerns. Finally, the changes can be inputted and the new process can be implemented. Once the improvements have been made a second round of the measure phase should be completed. This allows you to quantify the improvements made by comparing the results to the measure phase. 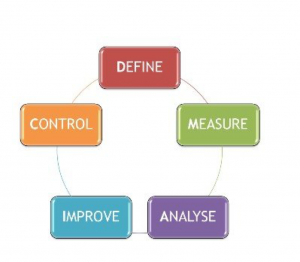 The final step in the DMAIC process is Control. Here we want to control the improved process to hold the gains. We must acknowledge that we are creatures of habit who can fall into old patterns and revert to the old way of doing something. 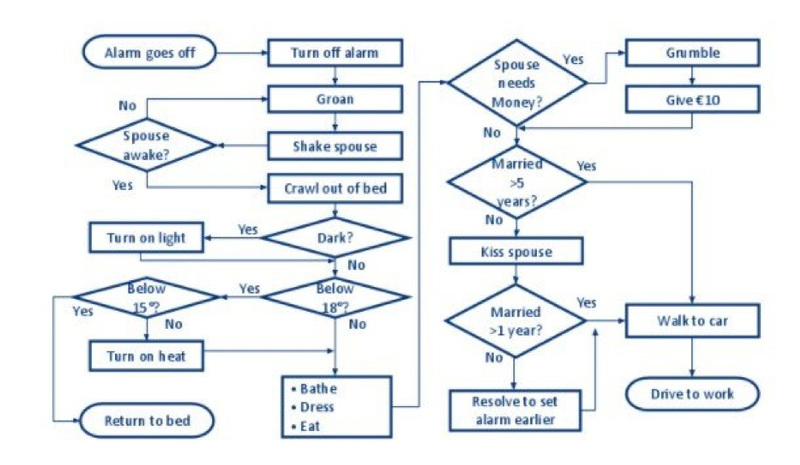 In the control phase you must make a plan to avoid this. A DMAIC project should demonstrate sustainability. 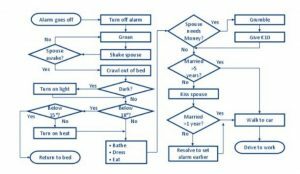 This can be done by keeping control charts and control plans. It could also mean having weekly PIT meetings to monitor the performance of the process. DMAIC projects become easier with practice. not have the support of your team and managers. Get everyone invested in the positive changes you are trying to make. A download link will be sent to your email address.